Manon, 17, has a Facebook account but to connect with her friends she turns to other social networks like Instagram or Snapchat. "I don't use it to post status updates or personal information," the San Francisco teen says. Manon maintains her Facebook account to be able to stay in touch with the large number of users on the huge social network and as a "gateway" to log into other apps. "But to communicate with my friends, it's Snapchat," the high schooler said. "Everyone says Facebook is out of date. I think it's because all the parents are on Facebook." As Facebook has grown into a network of more than two billion people globally it has lost its luster for younger users who made up a core base. While Facebook has become one of the world's most valuable and powerful companies, it's no longer seen as a cool destination for teens, who are turning to Snapchat and Instagram, which is owned by Facebook. 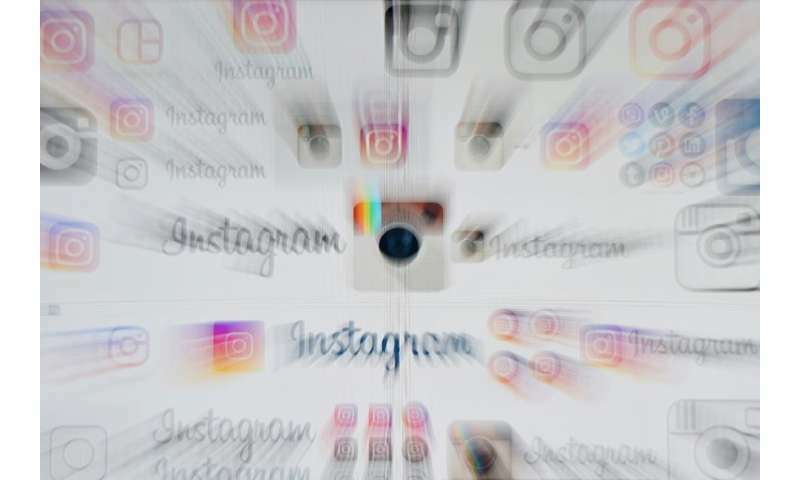 According to a Pew Research Center survey this year, 51 percent of US teens ages 13 to 17 use Facebook, compared with 72 percent for Instagram and 69 percent who are on Snapchat. The survey found 85 percent used the Google video sharing service YouTube. The landscape has shifted since a 2014-15 Pew survey which found Facebook leading other social networks with 71 percent of the teen segment. "The social media environment among teens is quite different from what it was just three years ago," said Pew researcher Monica Anderson. "Back then, teens' social media use mostly revolved around Facebook. Today, their habits revolve less around a single platform." The breakup of teens and Facebook was occurring before the latest scandals which have hit Facebook over hijacked user data and propagation of misinformation. According to a Forrester Research survey 34 percent of US online youth view Facebook "as a website for old people and parents." "US online youth regard Facebook as utility, while other networks that deliver niche value steal attention from Facebook's broad platform," said Forrester's Anjali Lai in a research note. "Established social networks face an image problem." A separate report by the research firm eMarketer came to a similar conclusion, estimating that Facebook would lose some two million US users under age 24 this year. Facebook remains king of the social media space and is still growing, though more slowly than in past years. Its profit in the first quarter of 2018 jumped 63 percent from a year ago to $5 billion, and total revenues increased 49 percent to $11.97 billion. And the California company has been moving to become more diversified, with its "family" of apps that include Instagram, Messenger and WhatsApp, and virtual reality gear from its Oculus division. To connect with younger audiences, Facebook has launched a parentally controlled Messenger Kids app for those too young to have their own Facebook account, and recently expanded that to Peru and Canada. Facebook is also moving to challenge YouTube, and potentially other services like Netflix, with original video on its own platform and on Instagram, which now has one billion users. With 2.2 billion users, Facebook still has a big lead over Snapchat, with 191 million users at the end of March, and Twitter with 336 million. 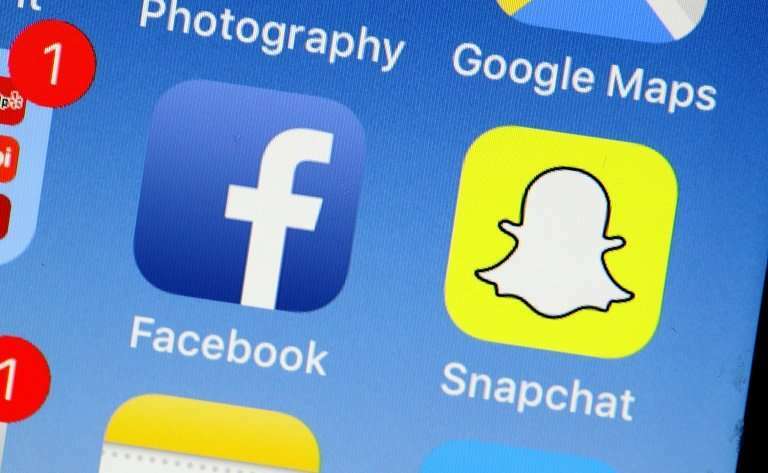 "Snapchat has a lot of growing to do before it can really be a huge challenger to Facebook," said Debra Williamson, social media analyst at eMarketer. But the trends show services like Instagram and Snapchat—which has grown beyond its original offering of disappearing messages—have become the new, cool place for young smartphone users. With Snapchat, "you can add animation, special effects, that's what's interesting for my generation," said 16-year-old Charlotte, another San Francisco high school student. Manon said she also likes Instagram because it is "more about creativity, people who make music or photography can post what they do."